Swimming with Humpback Whales in Tahiti tours – book now! Join us to snorkel with Humpback Whales in Tahiti! 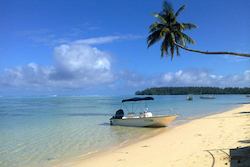 We offer personally escorted, small group tours in Moorea, with more time in the water. 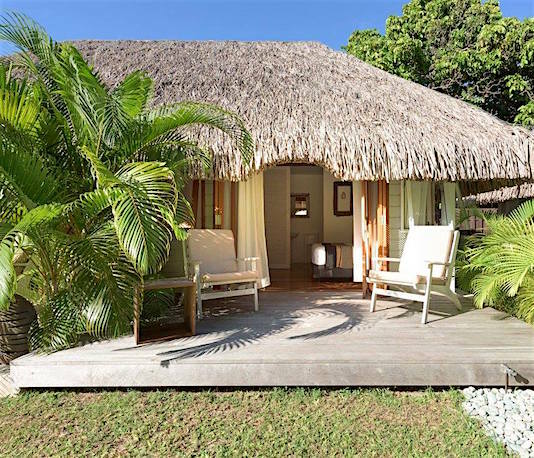 Our all inclusive packages have NO hidden costs, include beach-side & garden Tahitian-style thatched-bungalow accommodation, fresh French-Tahitian food, snorkeling with humpback whales (and other amazing marine-life), some leisure time & airport transfers. After 19 years operating our swim-with-whales tours in Tonga – we began new tours to snorkel with humpbacks in Moorea, Tahiti in 2016. One of our dedicated & passionate team members (and video-grapher) in Tonga, now takes care of every detail to deliver the best humpback whale experience in Tahiti! 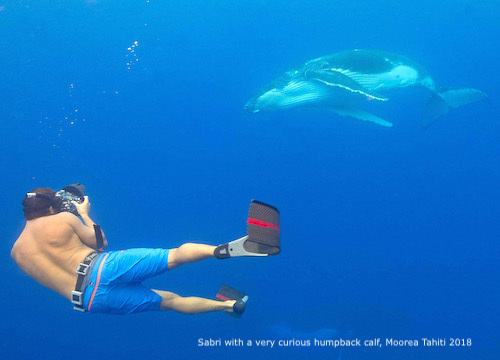 Q: How long has Tahiti been offering swim-with-humpback whales experience? Q: Why haven’t I heard about it? A: Unlike Tonga, swimming with humpback whales is not Tahiti’s main tourist attraction, there are many different activities to do there, whale-swimming is just one of them! 2019: ‘Magical Humpbacks in Tahiti | 9-nights & 8 x 4. 5 hour trips on the water with the whales. 2020: ‘Magical Humpbacks in Tahiti | 9-nights & 8 x 4. 5 hour trips on the water with the whales. 7 nights Tahitian-style bungalow accommodation with ensuite bathrooms, right on the edge of a beautiful turquoise lagoon. Day 1: Breakfast | pickup by whaleswim boat from the beach | boat briefing | how to swim with whales training (so they don’t swim off) | out with the whales (4 – 4.5 hours) | lots of fun | return to the lodge | free evening. Please Note: 1. Some days we will be on the water with the whales during the morning from 7.15am other days it will be afternoons from 1.15 – 1.30 pm leaving you free time to expereince other activies or just relax. We will give you your detailed itinerary with scheduled times, just prior your arrival day. 2.You have 3 free evenings to arrange your dinner at restaurants of your choice. 3. We may be able to provide a photographer/video-grapher on our tour, we will know closer to the season. We recommend that you bring an underwater camera (GoPro is perfect with the short-pole) and swap your best photos with the other guests in your group. 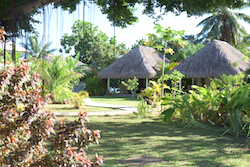 Scroll down the page for ‘About Our Tours’ and information and photos of our accommodation at the Moorea Beach Lodge. Sabri lives in Paris, France with his lovely partner, Emma, when he is not somewhere else in the world with his work as an Assistant Director for television productions in France and internationally. 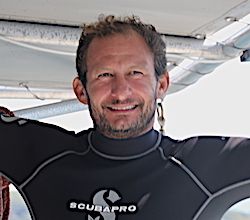 In 2011 his work took him to Moorea, French Polynesia where he experienced his first in-the-water encounter with humpback whales and fell hopelessly in love. Every year since then, he became a whale-guide on Cata Manu, with our Tahitian skipper/captain Marie Te’amuu, for his vacation during whale season. Sabri has guided several of our tour groups in the ocean for the past 3 whale seasons! This larger-than-life, former rugby player (with excellent camera-skills) will be your video-grapher for our 2019 season and will capture your unforgettable moments for the season and take great care of you as Team Leader in 2019. Woohoo!!! 15 March 2019: Sabri and Emma gave birth to a beautiful daughter, Pacifique in Paris yesterday! All are doing well! 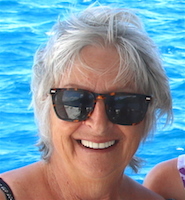 Rae is the passionate owner of WhaleSwim Adventures. 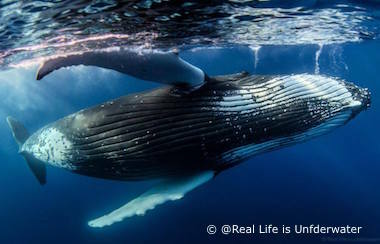 Rae has been swimming with humpback whales since 1998 and her connection and love for these majestic creatures, all marine life, the preservation of our oceans and the environment is always present. Being in the ocean with humpback whales is her ‘happy place’! As a naturalist, she has extensive knowledge of humpback whales that has been gathered over the past 21 years, along with many stories to tell. We know that you will want more than a fleeting glimpse of these magnificent beings. We take care of the detail! Making sure your whole experience with us is the best possible. We know that immersing yourself in many different whale encounters over a minimum of 6 or 8 x 4 – 4.5 hour trip out with the whales is the very best way to experience this very intimate and profound privilege. AND . . know that once you have swum with them, once you have looked in the eye of a whale, you will want to do it again and again. 2. Payment (Australian Dollars only) in full is required 80 days prior to your WhaleSwim Adventure and is non-refundableRe-scheduling and substitution of guests is permitted with approval of WhaleSwim Adventures. 3. A Liability Waiver must be signed, witnessed, scanned and uploaded into the Aqua Abilities page of your onliner booking, by each guest within 14 days of booking your WhaleSwim Adventure tour. 4. Changing tours in the same season and substitution of guests is permitted with approval of WhaleSwim Adventures. of US$200,000 for each of the categories of cover. It must also cover trip and flight cancellation. within 14 days of booking your tour; you will not be able to join the tour without it. 7. All rates and conditions are subject to change. 8. If payments are not received at the designated times, WhaleSwimAdventures, reserves the right to sell those spaces in question with forfeiture of all monies to date. 9. The booking is binding and all payments are non-refundable. 10. Prices may change due to; *currency fluctuations*, *suppliers increasing rates* after tour prices have been advertised, even after payment is made in full, *schedule or content changes* – all circumstances beyond the control WhaleSwim Adventures Ltd, all clients will have to pay the additional cost. 11. These are ecological holidays, WhaleSwim Adventures reservesthe right to ask any participants to leave the group should he/she behave in a way that is insensitive to the whales, the environment, local people, our staff, crew or other group members or continually not follow the whaleswim Guides directions in the water with the whales. WhaleSwim Adventures staff and management also reserve the right to cancel their tour and move those guests to other accommodation at that guests expense. No refund will be given. 15. Drones are ONLY permitted to be used on our ‘Photography Tours with Michael Smith’ in Tahiti. 16. Smoking is NOT permitted on the Cata Manu vessel. 17. In the event of cancellation of a whale-watching 1/2-day due to bad weather, we will do our best to add another 1/2-day for you, if time permits otherwise no refunds will be offered by WhaleSwim Adventures. 18. Children/teenagers under 18 years old are not accepted on our 7 or 9 night tours. Papeete is the capital of French Polynesia. Moorea is a 35-minute fast-ferry or a short 12 minute flight from the main island of Tahiti – where we swim with the whales! There are many international airlines servicing the main island of Tahiti – Air Tahiti Niu, Air New Zealand, Hawaiian Airlines, Japanese Airlines, French Bee, American Airlines, United Airlines, Air France & British Airways. See more info below . . .
Faa’a Airport is both an international and domestic airport. 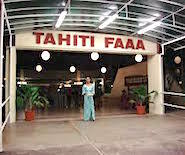 The don’t have a huge duty-free shop, so make sure you purchase your duty-free goods, prior to your departure to Tahiti. We recommend you get enough local currency for your time with us on Moorea on arrival as getting cash out in Moorea can be a challenge. There is a money changer and several ATM’s in the airpoirt. If you want to get a local SIM card for your mobile device (business hours only), we highly recommend you do it at the airport. 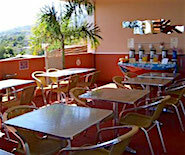 There are restaurants in the airport, as well as souvenir, jewellery, crafts and a post office. You need to book your transfer to accommodation or to the ferry terminal online, prior to arrival. They have a taxi service like most airports, but we have found that the licensed transfer comanies are more reliable with pricing. The company we have use is reliable and is easy to book your transfer before you leave home – contact South Pacific Tours transport@spt-tahiti.pf or call them at Phone: +689 40 80 35 00 OR +689 89 42 00 00 and ask for Samuel or Herenui. There are 2 ways to get to Moorea from the main island of Tahiti. 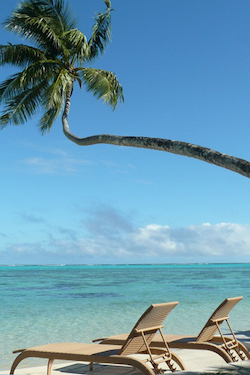 Both are easy, as Moorea is just 15km away for the main island of Tahiti. By fast Ferry – a 35 min journey from the ferry building on the waterfront in down-town Papeete. – here is the link to the website for www.aremiti.net OR Click here to download a ferry schedule. There is free 1-hour wifi and a cafe aboard with snacks and light meals as well as coffee and drinks. If you are lucky, you may see a few humpback whales on the way! By Air – Air Tahiti operates several flights daily to Moorea and other island of French Polynesia.Its a 11 minute flight from Papeete airport to Moorea – short and sweet! You have beautiful views of both islands on your quick flight! We include visa information in our Trip Preparation Bulletin that we send you after your tour booking has been confirmed with a deposit. The most important items on your packing list will be your snorkelling equipment – your snorkel, mask and fins. 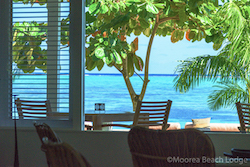 We do not provide snorkelling gear or weight belt/weights and good gear is not available on Moorea. Hire gear is not available from dive centres as its high season and they do not have extra gear available. Hire gear is never going to fit you as well as your own equipment anyway. It is TOP PRIORITY to have good snorkeling gear. We cannot reiterate enough! 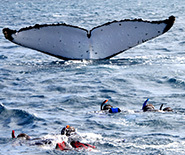 Having come all this way to swim with the whales we want you to have the best experience that you can. You are going to be snorkelling every day for 6 or 8 days and good quality, well fitting gear is going to make your swim with the whales adventure so much better. 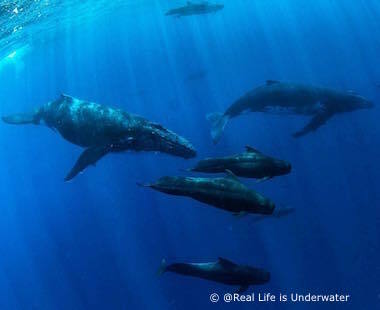 After 19 seasons of taking guests to swim with whales, this advice is neccasary! Please note that wearing of buoyancy gear (wetsuits or snorkel vests) is not compulsory, but we highly recommend it when we are swimming in very deep, open water with whales. It allows you to relax and float in the water with the whales, protects you from the sun and keeps you warm, in and out of the water each day. You recommend that you bring a light 2mm wetsuit for warmth and buoyancy while swimming with whales. Water temperatures are between 24 degrees C (in the earlier part of the season) and 26 degrees C, so for most people a 2mm shortie wetsuit is fine but if you really feel the cold you may want to bring a full 2mm wetsuit. If travelling light you can purchase or hire one of our excellent WhaleSwim neoprene snorkelling vests. These can be ordered when booking your tour – the cost is AUD$70. We will provide you with a comprehensive Trip Preparation guide when you book. 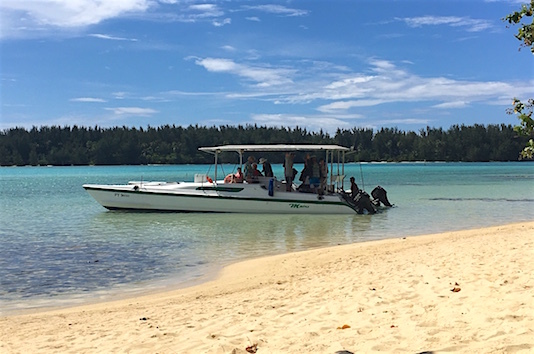 This will give you all the packing and supplies information you will need (with good advice re your snorkelling gear) but as a general rule, remember that Tahiti is a laid back, tropical place and light, casual clothing is the most suitable. The weather is warm 24C – 25C during August/September and warmer 25C – 27C during October, therefore light cotton clothing is best. Towels will be supplied by your hotel. 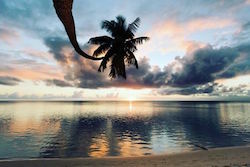 If you haven’t visited French Polynesia, its can be challenging to decide on what accommodation to book on arrival or to have a few extra days relaxing somewhere wonderful! Listed below are 1 properties near the Fa’aa International Airport (as we are aware that many flight arrive late afternoon or at night, so we have put together a few properties that we have either stayed at that we just a few minutes away. 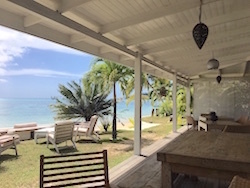 If you would like to book 4 or 5-star accommodation on the water go to http://www.trivago.com/ and enter Papeete, French Polynesian for your search. All these resort are quiote a distance from the airport and the frerry terminal. If you are arriving a day or so early for staying a few days after your tour, your will need to contact the hotel directly (not book via an online booking site) and tell them you are joining WhaleSwim, then they will make sure that they put you in the same room if they possibly can. See contact details below. 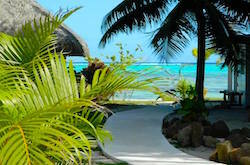 We have also made a list of recommended accommodation for an extended holiday in French Polynesia. We have either stayed at, personally inspected or have been recommended to us by our guests. 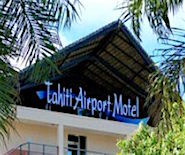 The Tahiti Airport Motel is located in front of Tahiti Faa’a International Airport. The establishment is ideal for passengers arriving late in the day or evening or in transit but also suitable for an extended stay. 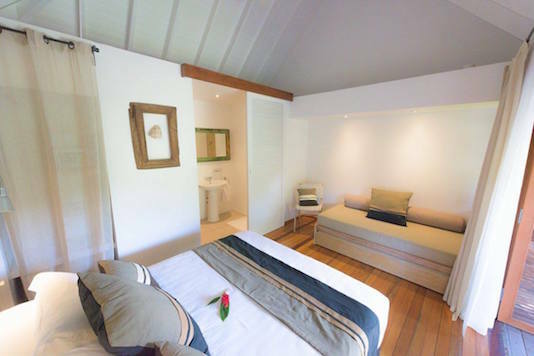 It offers a panoramic view over the lagoon and the Moorea Island. It’s a very comfortable place that has standard rooms (doubles or twins), family rooms and one adapted to the people with reduced mobility. Just .5 km form the airport. All rooms are soundproofed, equipped with air conditioning, television, tea/coffee, fridge and Wi-Fi internet connection and all rooms and corridors are non-smoking. Tahiti Airport Motel has an elevator. They provide other services such as free-breakfast, luggage storage and 14 free parking spaces. Walking access is possible from the airport to the hotel. Access by taxi is recommended in case of heavy or bulky luggage (for more information, contact us). Shops, restaurants, transports and car rental are nearby. 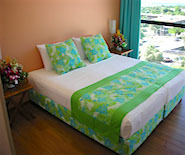 To book – go to http://www.trivago.co.nz for a choice of online booking websites -which shows the the best deals online! Your airport/ferry transfers are included in your tour price and we will make sure that Jo, our taxi driver is waiting for you on the arrival time entered into your booking. However, if you arrive on a different ferry or flight and we have not been informed early enough to contact Jo, your transfer will be at your expense. 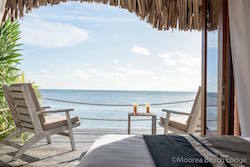 Please remember, they prefer checking into the Moorea Beach Lodge after 1.00 pm each day, s you room may not be cleaned and ready for you. Our favorite place for Lunch! We highly recommend Fred’s Shack (photo left) just 120m from the Lodge, for delicious food at a good price. (if you prefer strong coffee, you need to order double espresso with hot water! This is not a low-level of fitness and restricted agility holiday. This is an open ocean adventure holiday and you will need to be fit, confident swimming/snorkelling in 50m – 200m deep and in the open ocean and be able to snorkel quickly and confidently up to 100m, sometimes 150m. We are often getting off and on the boat into the ocean, sometimes snorkelling quickly for up to 100m and occasionally in choppy seas with 2 – 3m swells. Your level of skill and confidence will determine whether our Skipper/Guide will allow you in the water with the whales. If you feel that your swimming and snorkelling skills is not up to the level we require, or that you are a little unfit, we suggest that you enrol in snorkelling lessons and improve your swimming skills and fitness levels prior to joining your tour to insure the best encounters possible. Our tours are small and cater for a maximum of 9 guests only. French Polynesian Whale-watching Regulations allow more than 10 people plus a guide in the water with the whales at any one time, but through our 18 years of experience around humpback whales, it doesn’t matter if there are 4 or 15 people in the water at one time, it’s about the way we behave around the whales. This means that you are in the water with the whales every time and you will have the opportunity for many in-the-water encounters during our 4 – 4.5 hours on the water with the whales, over the 6 or 8 days. You will have time to enjoy the incredible up-close surface action too. We offer package tours with a minimum of 6 days on the water because we know that being out for multiple days with the same group of people allows you to learn how to best be with the whales and it allows us to maximise your chances of amazing encounters. We also make sure that we only use the best boat and have the best skipper and guide. A good whale-watching skipper knows that the best way to get great encounters is to take the time to let the whales get used to the boat and for the swimmers to be an un-intrusive as possible. Our Tahitian ‘whale-whisperer’, skipper and guide, Maire Tema’u, has been taking people in the water with whales for 20 years, he has a very deep respect. We can do this because we have the time to teach our guests the best way to be with the whales in the water and we have multiple days to swim with them. It is harder for the day trip boats because they usually speed up to the whales, drop 15 – 25 people all in the water at the same time, all scrabbling over each other to be in the front, which can very easily spook the whales. Therefore, they have limited time and are under pressure to deliver the swims so the swims can be fleeting. If you are coming all the way to Moorea, Tahiti you need to give yourself as many days as you can to experience being with the whales. Just a little warning though… swimming with them is really addictive. Whale season in Moorea is mid-August through to late November. Most days are sunny; a few days are cloudy, the odd day is rainy and windy. The weather is warm, but you’ll want to bring a wind jacket to keep you comfortable on the boat if we head around the island to the west – north west sides. Water temperature is around 25+C (77+F). 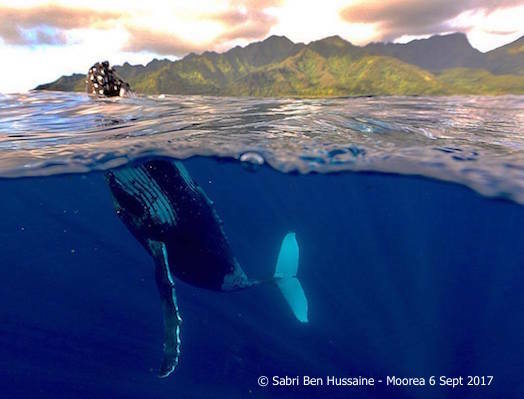 Moorea is the best place in French Polynesia for in-water encounters with humpback whales as many of the humpback population, mate and give birth on this latitude. Only snorkelling is allowed with the whales as they don’t like divers’ bubbles, and it’s hard to keep up with whales on SCUBA. The topography of the island (very high mountains!) allows us to work in most conditions, as the west side of the island is sheltered from the prevailing winds. We will go out and swim with the whales in most conditions, the weather and seas don’t seem to affect the whales at all. We search for the whales in calm, west side of the island in the open sea — pretty much most of our 4-4.5 hours each day. Our boat is extremely comfortable with a large area shaded from the sun. Its easy access to the water and the sturdy ladder – with wide steps – allows easy ascending onto the boat. We explore the beautiful lagoon for dolphins and abundant marine life that inhabit the waters around the Moorea. We head back to your accommodation in time for a hot shower, lunch or to relax and watch the exquisite sunset before dinner. Our whale-swimming vessel “Cata Manu” is a 30′ catamaran with 2-x-225hp 4-stroke outboards (eco-friendly) – its fast and quiet! Lots of room for 8 people plus crew and good protection from the sun and easy entry and exit from the water. We will have plenty of fresh tropical fruit (whatever is in season) aboard to snack on each day! Some days, there may be an opportunity to swim with Black Tip reef sharks & rays or hang-out with the large pod of Spinner dolphins and congregate in the lagoon near to Haapiti. The water is a beautiful 25C – 27C during the whale season. Our Tahitian ‘whale-whisperer’, skipper and our guide, Maire Temau’u has been taking whale-lovers to swim with the humpbacks since 1999 and is committed to their protection and for all his guests to experience these incredible and majestic gentle giants of the sea. He is a environmentalist too! 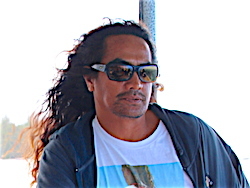 Maire’s brother Tere’e, is his crew and skippers the boat while Maire is guiding us around the whales. 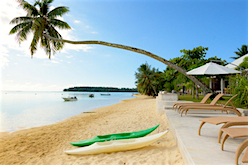 A little corner of paradise along a white sandy beach facing the turquoise lagoon surrounded by a tropical garden, the Moorea Beach Lodge is located on the West side of Moorea Island. The peacefullness of the Lodge and it’s beauty will be appreciated by all. 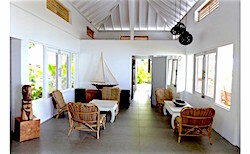 All the Bungalows (4 Beach Bungalows & 6 Garden Bungalows (photo right) have air conditioning, a Queen size bed, a sofa witch converts into 2 single beds (except for the Honeymoon Bungalow- if available on request), a ceiling fan, a small refrigerator with tea and coffee facilities, a wardrobe, a personal safe, a bathroom with shower and a private deck. 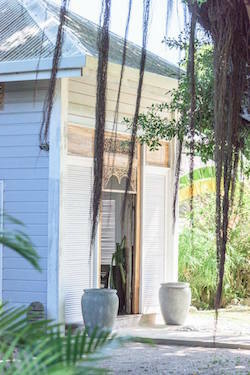 Every bungalow comes with a private bathroom with free toiletries. 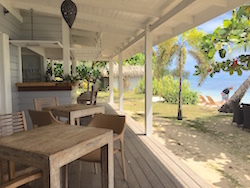 Moorea Beach Lodge also includes a sun terrace. Guests can enjoy a drink at the on-site bar. The property has a private beach area and free use of bicycles is available. Ocean side, exploration of the lagoon can be done under water and above, or in the deep blue with Moorea Fun Dive diving center, directly accessible from the beach. Mountain side , stroll along on a bicycle or by foot, explore the numerous mountain tracks, and at the end of the day, enjoy the sunset. Half a dozen restaurants and snacks are only a few minutes walk from the Lodge.